While there are many Semi-Automatic .308 rifles available on the market, there are three that tend to stand out among all the rest due to their amazing performance, durability, accuracy and reliability. Those are the Century Arms C308, the Ruger SR-762 and the Springfield M1A. If you are in the market for a .308, these three rifles should be at the top of your list. Our choices for the best semi auto 308 have their own list of pros and cons that make them more or less desirable to potential buyers. These reviews will help you determine which is the best option for you based on your level of expertise and what you plan to use the rifle for primarily. Which Semi Auto 308 is the Right Choice for You? 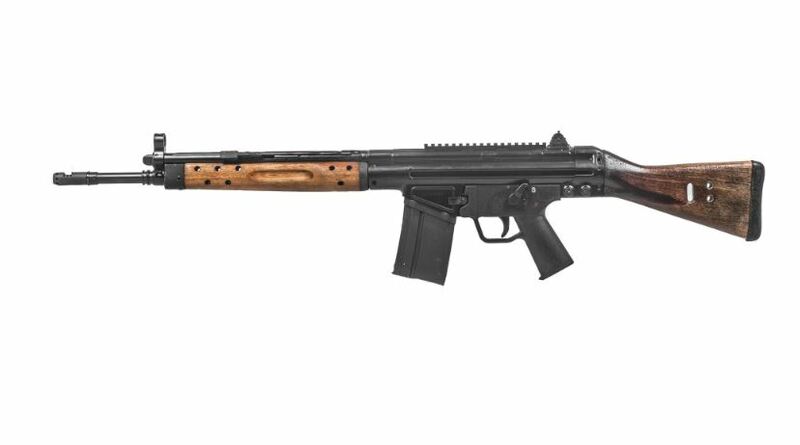 The Century Arms C308 is a good choice for those who need an affordable option when buying a Semi Auto .308. Most semi-automatic rifles are very expensive with the majority of all high-quality models in the $1K and up price range. If you are on a tight budget, yet still want to purchase a semi auto .308, you should consider the Century Arms C308. This rifle is typically available between $500 and $700. The Century Arms C308 has many similarities to the HK G3, one of the most recognized battle rifles ever made. Surplus parts from the HK G3 are even used to manufacture or repair the C308. Both models have the same delayed blowback system among other similar features. Features for the C308 include a detachable box magazine that can use 5 or 20 rounds. These are available anywhere guns and ammo are sold and are typically priced around $10 per magazine. Additional features include a safety switch and forward charging handle. The safety is located by your thumb when you are holding the firearm. For some who are new to using semi-automatics, the forward charging handle may feel awkward at first. However, it is a feature that you will get used to over time as you practice using the rifle. Using a similar design to the HK G3 may not be an advantage in all areas for the C308. That’s because the G3 design isn’t the best when you want to practice precision target shooting. Expert target shooters will definitely notice the difference when they start using the C308. However, average shooters and beginners may not. The rifle is still capable of delivering 2 MOA groups at 100 yards. Fortunately, what the design lacks in sight and precision, it makes up for it in overall durability. One upgrade that the C308 has over the HK G3 would be the addition of the Picatinny rail. This is mounted to the top of the receiver and makes attaching various scopes and optics to the rifle much easier. The C308 also has a few disadvantages, with one of the biggest being that it has a plastic trigger guard and lower assembly. The original G3 had a more durable metal assembly. The good news is that you can always swap this part out with G3 surplus or aftermarket replacement parts. Overall, the Century Arms C308 is the best option for a semi-automatic rifle if you are on a budget. While it may not be the very best in the industry, when you are looking for a semi auto that is under $1,000, this is easily the best product at a great value. There are several reasons why the AR-10 market has become exceedingly popular in recent years. Many gun enthusiasts who are already drawn to the AR platform, yet want a larger caliber, have turned to this particular type of firearm. Ex-military service members who have used AR’s in the past and are now looking for a rifle to use for target shooting or hunting also like the overall feel and function of this model. One of the best AR-10’s that you can buy right now is the Ruger SR-762. 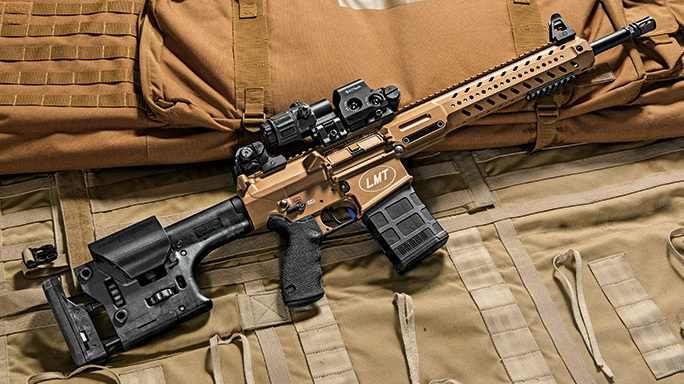 This high-quality rifle has many advantages that make it a great firearm. But you should be prepared to pay out a lot for this particular AR. It retails between $1,500 to $2,000. The AR market has a lot to offer gun enthusiasts. With so many models currently available, owners should never have to worry about running low on spare magazines, customization options or aftermarket replacement parts. Because of these advantages, the SR-762 and all other AR-10’s of the same quality are the most practical choice that you can make when looking for the best semi auto 308. Some of the top features found on the Ruger SR-762 include the folding iron sights, a picatinny rail that can be used to easily add optics, and the two stage piston system, which Ruger claims is the best on the market. Perhaps the biggest drawback on the SR-762 is the trigger which has been described as gritter than those on other AR-10’s. The Ruger brand isn’t well-known for manufacturing guns with the best quality triggers, so it isn’t a big surprise to those familiar with the brand. The good news is that you can easily replace the trigger with aftermarket parts if you want. Overall the Ruger SR-762 is a reliable AR-10 that does everything you would expect a quality semi auto to do. It is a dependable rifle that is highly accurate and precise. 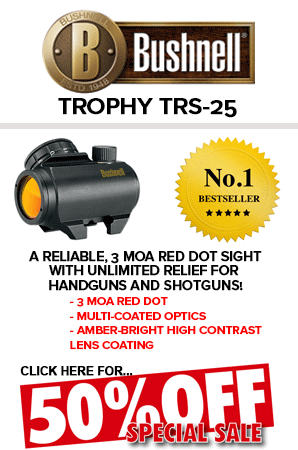 If you want to invest in a quality military-grade rifle, this is the best option for you. The Springfie​​ld M1A is a civilian version of the military’s M14, which as been used in the service since the 1950’s. The M14 is still used today as a designated marksman’s rifle. The M1A is available to purchase in a variety of styles and sizes, and a broad range of options so that you can own a semi auto that suits your particular needs. You can choose from the 16.5 SOCOM model, the 22” Standard Model, or the 18” Scout Squad model. The 22” M1A is considered the best out of the three by many because it delivers optimal range and velocity. The shorter M1A models are still good quality rifles, but they are better suited for tight conditions. The M1A has a classic look, especially when the firearm is outfitted with a traditional wood stock. When you are looking for a stylish rifle to add to your collection, this is the best semi auto 308 in that category. The design is based on the original M1 Garand, which was another accurate, solid and reliable firearm. The biggest disadvantage of the Springfield M1A would have to be the overall weight and length of the rifle. It is much heavier and longer than other models which can make it difficult to use or transport. Another downside is that the safety is located inside of the trigger guard. This means you have to put your finger inside the trigger guard to turn it on or off, which is a feature that many gun owners don’t like. The DPMS Oracle 16” .308 Winchester is very similar to the 5.56mm Oracle rifle. This semi-automatic .308 firearm features a compact size, rugged military carbine features, and impressive .308 firepower. This Oracle rifle helps to bridge the gap between carbine and full-size firearms. It delivers a strong AR punch in a surprisingly small size. You can count on this and other DPMS rifles to be reliable and dependable weapons because the company has been involved with manufacturing AR-style rifles for many years. All their rifles and the parts used to manufacture them are Made in the U.S.A. to the highest level of accuracy. DPMS adds a battle-tested experience to every product that they produce. The .308 Winchester 7.62 NATO caliber rifle has a magazine capacity of 20+1. It is 16” long and made from solid HBAR 4140 chrome-moly material. This rifle has a barrel twist of 1 x 10” and the stock is Pardus 6-position collapsible. The upper receiver is Extruded 7129 T6A3 flat top and the lower receiver is a Billet 6061 T6. It has an A2 pistol grip, railed gas block sights, and is also optics-ready. Here are a few more specifications for the DPMS Oracle 16” .308 Winchester. The DPMS Oracle is a top-rated semi-automatic rifle that many owners would highly recommend to their friends. It is reasonably priced at around $799. The .308 Semi-Automatic Rifle is arguably the most versatile rifle that you can own. This centerfire rifle can be used for practically any purpose that you would need a rifle for. These firearms can be used to hunt all types of big game found in North America from deer, elk, or caribou to black bears. The .308 Rifle is also an excellent choice for tactical training or target shooting because it can hold a 20 round magazine capacity. However, it is not the best choice for in-hone defense against intruders. While it may be effective, it could be too effective since it could send rounds through the walls of your home into the walls of nearby houses. A better choice for protection and defense would be a handgun, shotgun or rifle with an intermediate caliber. The .308 Winchester round is one of the most popular among all others in this category. That is because the Winchester long range caliber has gained a strong reputation over the years for being extremely accurate. It is currently the best-selling centerfire rifle caliber that is used for hunting in both the U.S. and throughout the world. The previous owner of that title was the .30-06 Springfield round. It’s important to keep in mind that no rifle is perfect and there isn’t one firearm that can do everything and do it accurately each time. Rifles and guns, in general, should be viewed as tools in a toolbox. Each one has a specific purpose and should only be used to fulfill that purpose. 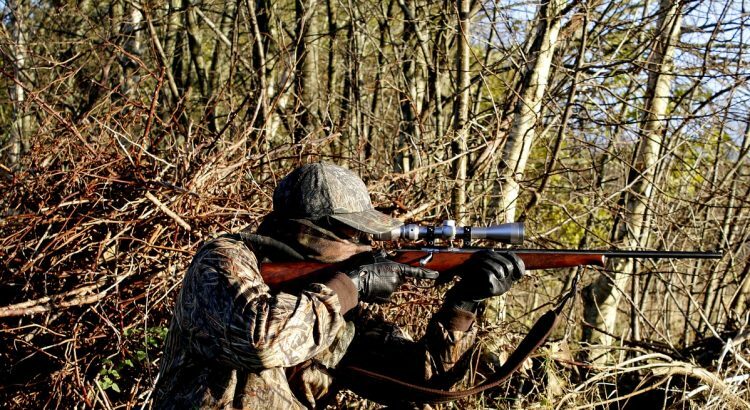 The different features can help each tool perform its duty, and therefore you will need different types of tools, or guns, for different types of shooting, such as hunting long range and short range. A .308 semi-automatic can make hitting a long distance target easier. You can go big game hunting, provide protection for your home or assist with an emergency disaster situation using this versatile tool. Now that you know the benefits of owning a .308 Semi-Automatic, it is time to decide which make and model you should consider. There are plenty of semi-automatic .308 rifles currently available for every type of hunter or shooter. You can find affordable rifles such as the Century Arms C308, or rifles with a classic style like the Springfield M1A. With so many AR models on the market, it is easy to find customization options and aftermarket parts so that you can upgrade your rifle exactly how you want it. The best semi auto 308 for you is one that will make your hunting or target practice sessions easier and more enjoyable.